Here's what I wore to the Cicada Club. 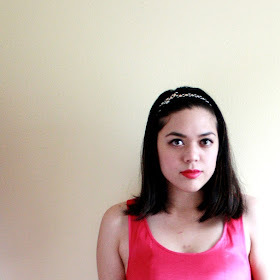 I had a lot of fun putting together my flapper-inspired outfit. I've had the tunic since high school--it's a lovely mix of lace, dotted tulle, and flocked velvet. Though it's not exactly a flapper dress, it definitely has that feel. It's a little short though, so I made sure to wear pleated black chiffon shorts underneath (you can't quite see them, but they're there) and a pair of tights. I added pearls, a cloche hat, and t-strap shoes of course! What's your favorite fashion decade?